Monitor your home or business with the NVW-490 4-Channel 1080p Wi-Fi NVR with 1TB HDD & 2 1080p Outdoor Night Vision Wi-Fi Bullet Cameras from Swann. 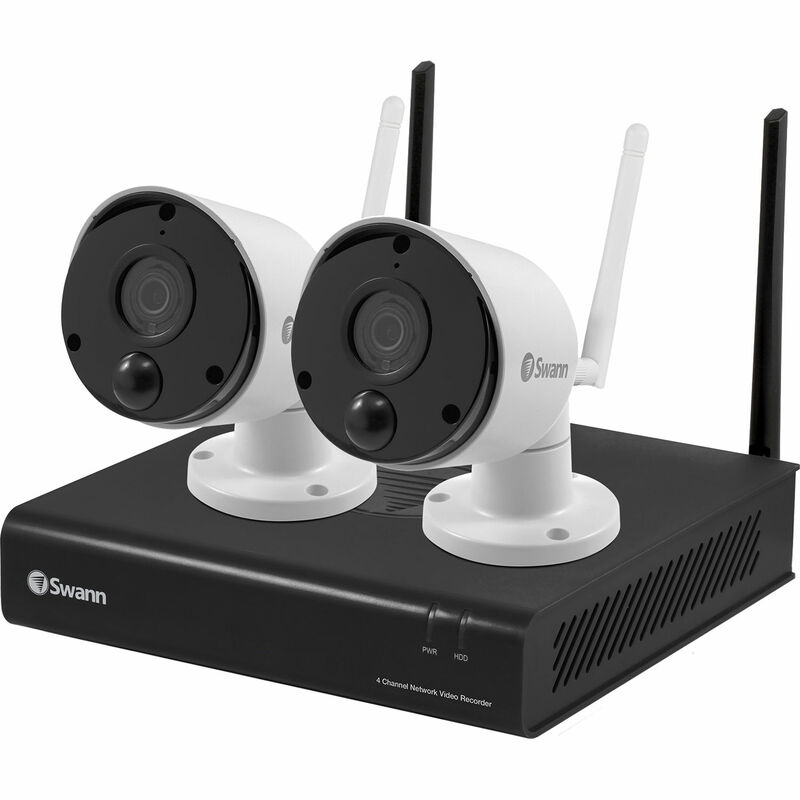 The NVR comes with a 1TB HDD preinstalled to store video from the included Wi-Fi bullet cameras. The AlwaysSafe app for iOS and Android enables remote viewing. The included Wi-Fi bullet cameras capture video at a resolution of 1920 x 1080. They each deliver a 75° field of view and up to 115' of night vision. The cameras feature a True Detect heat and motion sensor that accurately detects heat-generating objects like people and cars, triggering recording and push notifications. Two-way audio communication is possible thanks to a built-in speaker and microphone. The cameras are housed in an IP65-rated enclosure, making them suitable for outdoor use. Box Dimensions (LxWxH) 15.7 x 13.1 x 9.0"